In this blog post series, you get to meet some of the people behind TSS. We’ll find out what brought them to the company and what a typical (or unusual) day at work looks like. And of course, what makes it such an amazing place to work. Let us introduce our Business Development Manager, Kjell Runngren. Kjell Runngren started working at TSS in May 2014. At that time he had just graduated with a Master in Strategic IT Management from Stockholm University and was eager to put theory into practice. “I heard about the job opening from a friend who works in Recruitment and it caught my interest right away. The international environment, the entrepreneurial spirit and the cutting edge technology – it seemed like the perfect combination”. 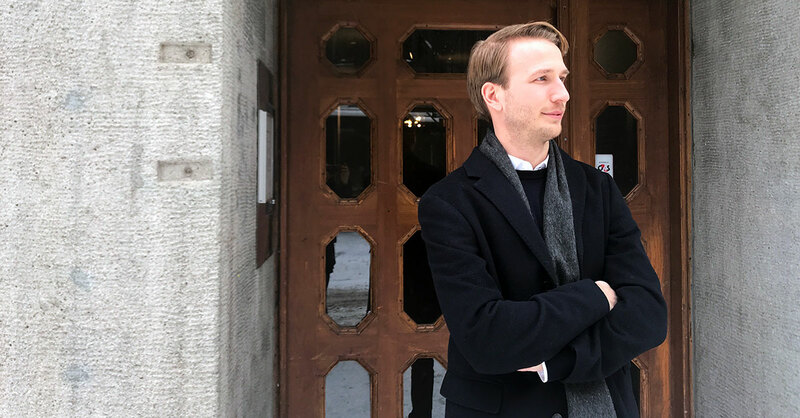 Alongside his university studies, Kjell was Business Operations Intern at IBM Sweden, supporting various business units with a wide range of tasks. “At IBM I learned to work effectively with business processes, for example when it comes to analyzing, interpreting, and surveying data. I also got great experience from team work within project management and a thorough understanding of the importance of clear communications and execution on time.” This knowledge has definitely come in handy in his current role as Business Development Manager at TSS. Today Kjell is responsible for identifying, defining and developing business cases for new applications and service opportunities. This includes for example Project Management of R&D projects as well as keeping an ear to the ground and stay updated on new business opportunities and what’s going on in the market. When needed, Kjell also supports Sales in their work; “Since I’m a bit of a tech guy, I sometimes attend sales meetings that are more of a technical character and support at the at the intersection of sales and product development”, Kjell explains. Almost four years have passed since Kjell started as an intern at TSS and yet, he gains new experience and learns new things everyday. “I really like the entrepreneurial spirit here and the fact that our company is so agile and fast-paced. We can move quickly from idea to action and you get to see and learn a lot on the way”. In addition to the variety of tasks his job offers, Kjell likes the fact that TSS’ solutions play an important role in ensuring patient safety; “Although I may not reflect about it on a daily basis, it feels good to know that what we do actually have a huge positive impact on people’s lives”. During these four years, Kjell has got to see many parts of the world. Two of the most frequent destinations have been United Arab Emirates and Saudi Arabia, where Kjell has been implementing solutions and educated the local personnel on various sites. “It’s nice to get on the field and meet customers face to face. And of course, it’s a nice bonus to get to travel and see new places”. The international spirit is something that Kjell got to experience his very first week at TSS. “On my third day, I joined the CEO to London to attend an important sales meeting with a prospective customer. Talking about getting hands-on-experience from the start!”, Kjell concludes with a smile.